Erica completed a Master of Music Performance in Percussion and Bachelor of Music (Honours) at the University of Melbourne with Timothy Hook and Robert Cossom. While there, she was awarded the J.S Bach prize and received a scholarship to study with Montreal Symphony Orchestra timpanist Andrei Malashenko at McGill University (Canada). In 2009, Erica received a grant from the Cybec Foundation to participate in a Winter Music Creative Residency at the Banff Centre, Canada. Erica has managed and directed of number of professional and community projects since 2009. She has been successful in receiving a number of grants to help fund the projects, including Moonee Valley Foundation, ArtPlay and City of Melbourne. The projects include ‘Falling Colours of Autumn’, a community art and music project at the Incinerator Arts Complex in Moonee Ponds, ‘Paint What You Hear’, a series of workshops where children respond to live music using paint, and most recently a multi-disciplinary project, ‘Silhouettes, Inside Outside’ at fortyfivedownstairs, Melbourne. Erica is a regular teaching artist and workshop director at ArtPlay and with the Melbourne Symphony Orchestra. She is also Director of ‘Crashendo!’, an El Sistema-inspired music program at Laverton P-12 College and instrumental percussion teacher at various primary and secondary schools. Erica is an avid performer, enjoys playing various gigs around Melbourne and is co-founder of Tungsten Duo and the award-winning percussion trio, BED Percussion. The Crashendo! Bass Project will boost our lower strings program providing the right sized cellos and double basses to our youngest students. Strengthening our bass section is vital to the future growth of our orchestra. Crashendo! 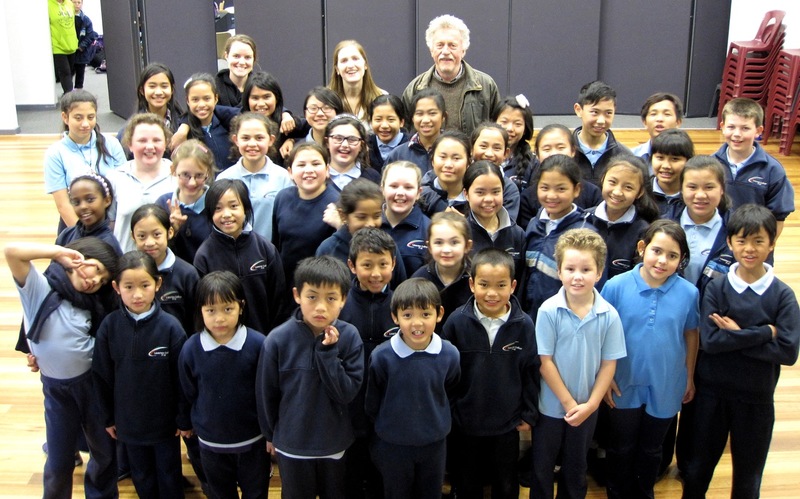 is an El Sistema inspired music education program at Laverton College, Victoria. It offers quality musical training to children as a vehicle for positive change. CRASHENDO! is an El Sistema inspired music education program. It offers quality musical training to children aged 7-12 as a vehicle for positive change.